Add more chrome pizzazz to your Jeep Compass! 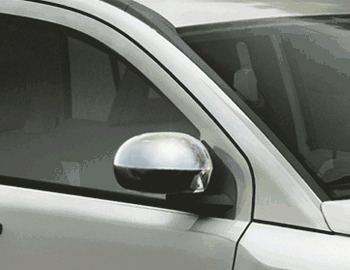 Chrome Mirror Covers install on front side of outside rear view mirrors. Chrome mirror caps. Set of 2. Bought before and lasted 10 years without any flaws.